My Hercule Poirot revisit has compelled me to the television, where I am spending rainy Sunday cleaning my living room and watching episodes of Poirot. So far, I've watched The Clocks, which was I thoroughly enjoyed. 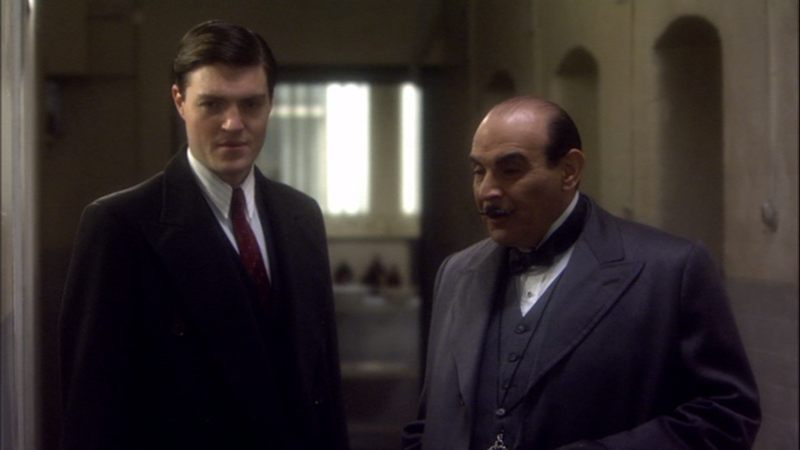 The casting was terrific - Colin Lamb is simply Colin Race in the adaptation, intended to be the son of Colonel Race, (although there's pretty universal consensus that he's actually Superintendent Battle's son in the book), and Tom Burke is just the right physical type for the role. As is often the case, there is at least one other actor who make me go "oh, that's so-and-so" and in this case it's Guy Henry who plays Pius Thickness in the Harry Potter adaptations, and, of course, the spectacular Anna Massey plays Miss Pebmarsh. They also did what is generally the best choice with these later Poirots - transplanting it back into the 1930's where it really belongs. In this one, there is a pre-WWII espionage plot that works better than most of Christie's espionage plots. However, they retained the heart of the book by keeping the dual narrative (spy vs venal murder for gain) intact. All in all, a delight. Now, I've moved onto Mrs. McGinty's Dead!